Confectionery, food and beverage giant Mondalez International, which makes Oreo biscuits and Milka chocolate besides many other leading brands, has reported strong European growth figures, particularly across CEE countries, a region which is driving the company’s development. Executive Vice-President and President of Europe at Mondalez, Hubert Weber, said that the firm had seen increased demand in emerging Europe, particularly the Polish, Czech and East Adriatic markets. 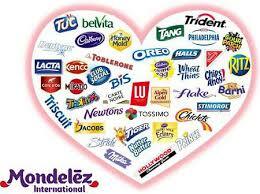 Mondalez operates in three central areas in Europe: biscuits, chocolate and gum and candy. It has an established industrial presence in the region, employing almost 10,000 employees across 20 manufacturing sites in central Europe.